Presented conspect devoted to the subject of cooperation between the coach and the player in individual disciplines of competitive sports concerns the impact of the level of trainer's emotional intelligence to engage in efforts to improve the quality of relationships and a sense of commonality and purpose of a cooperating player.&#xD; The literature suggests that in order to build and sustain commitment to the player by the coach it is important to include mutual trust, positive relationship and clearly defined goal acceptable to both parties. (Czajkowski 1994). The existing research related to the topic of Emotional Intelligence suggests its impact on many aspects of human functioning in the positive relationship with the environment and the satisfaction and success in the workplace. (Jaworska and Matczak 2005). 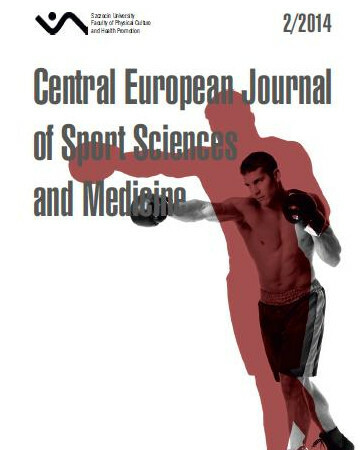 The indicated dimensions play an important role in the prevention of burnout and improve the quality of cooperation between the coach and the player.&#xD; Studies carried out on a sample of 48 cooperating sports teams (trainer - athlete) have shown that a significant level of trainers' emotional competence affects the emotional aspect related to the purpose of their trained athletes. Athletes working with trainers who present higher levels of emotional intelligence showed greater satisfaction derived from activities aimed at achieving a common goal and mutual relationship and declared a common vision for the future. These data suggest that the level of trainers' emotional intelligence may be important not only for motivation of cooperating players, but also for the satisfaction they derive from their work, helping to increase the quality of life in the workplace. At the same time, it could reduce the risk of burnout, not only athletes but also trainers. 1. Caspersen et al. ( 1985) Physical Activity, Exercise, and Physical Fitness: Definitions and Distinctions for Health-Related Research. Public Health Reports. Vol.100 No.2 March-April, 1985: 26-131. 3. Cherniss, C. ( 2002) Emotional Intelligence and the good community. American Journal of Community Psychology, 30 (1), s. 1-11. 6. Goleman 1997 Goleman, D. ( 1997). Inteligencja Emocjonalna. Media: Rodzina of Poznań. Poznań. 7. Goszczyńska M., 1983: Ryzyko i jego percepcja. (In): Gliszczyńska, X. (eds.). Człowiek jako podmiot życia społecznego. Ossolineum, Wrocław. 8. Heindl, K.( 2009). The relationship between the emotional intelligence of leaders and critical employee engagement factors. The Sciences and Engineering, Vol. 70(5-B), s.3212. 9. Herb, E.; Leslie, K. ( 2001). Teamwork at the top. McKinsey Quarterly, No.2, s.32-43. 10. Herzig M. (2002). Psychologiczne uwarunkowania i umiejętności a skuteczność pracy trenera. „Sport Wyczynowy”, nr 5-6. 11. Jackson-Palmer, J. ( 2011). The influence of leaders’ emotional intelligence on employee motivation. Humanities and Social Sciences, Vol. 71 (10-A), s. 3709. 12. Jaworska, A., Matczak, A. ( 2005). Podręcznik do PKIE. Pracownia Testów Psychologicznych PTP, Warszawa. 13. Locke, Edwin A.; Shaw, Karyll N.; Saari, Lise M..; Latham, Gary P. (1981), "Goal Setting and Task Performance: 1969–1980", Psychological Bulletin (American Psychological Association) 90 (1),s. 125–152. 14. Matczak, A. ( 2008) Do czego może być potrzebne pojęcie inteligencji emocjonalnej?. In: Śmieja, Orzechowski (eds.) Inteligencja emocjonalna. Fakty, mity, kontrowersje. Wydawnictwo Naukowe PWN, Warszawa. 15. Mayer 2006 Mayer, J.D. ( 2006) A New Guide to Emotional Intelligence. S. 3-26, W: Ciarrochi, J. Forgas, J., Mayer, J.D. (eds.) Emotional Intelligence in Everyday Life. Psychology Press, New York. 16. Mayer, J. D., Salovey, P., & Caruso, D. R. (2004). Emotional intelligence: Theory, findings, and implications. Psychological Inquiry, 15, s.197-215. 17. Przybysz, I. ( 2007) Inteligencja emocjonalna a uzdolnienia twórcze i funkcjonowanie szkolne młodzieży. Uniwersytetu Śląskiego, Katowice. 18. Rychta, T. (red.) (1998). Zachowanie celowe w sporcie a osobowość : zbiór prac. Sekcja Psychologii Sportu Polskiego Towarzystwa Naukowego Kultury Fizycznej, Warszawa. 19. Salovey, P. , Mayer, J.D. ( 1990). Emotional Intelligence. Imagination, Cognition and Personality, 9, s.185-211. 20. Sankowski,T., Gracz,J. (2007). Psychologia aktywności sportowej, AWF Poznań. 21. Schutte, N.; Malouff, J. (2001). Emotional intelligence and interpersonal relations. The Journal of Social Psychology, Vol. 141 (4), s. 523-536. 22. Shaw, A. (2005). Do primary care professionals work as a team: A qualitative study. Journal of Interprofessional Care, Vol. 19, No.4 , s. 396-405. 23. Stephens, B. ( 2008). A phenomenological study: Human resource professionals perceptions of leader emotional intelligence and employee affective commitment. Humanities and Social Sciences, Vol. 68(12-A), s. 5137. 24. Tłokiński, W. (1998). Wiedza o celowości w działaniach sportowych a poczucie sprawstwa. In: T. Rychta (eds) Zachowanie celowe w sporcie a osobowość., PTNKF, Warszawa. 25. Weinberg,R.S., Gould,D. ( 1999) Foundations of sport and exercise psychology. Unitet States: Human Kinetics, Champaign. 26. William, J. (2009) Applied sport psychology : personal growth to peak performance. Mountain View, CA [etc.] : Mayfield Publishing Company. 27. Zaleski , Z. (1991) Psychologia zachowań celowych. PWN, Warszawa. 28. Zaleski, Z. (1988) Motywacyjna funkcja celów w działalności człowieka: studium psychologiczne, Eds. Wydawnictw KUL, Lublin, 1988.